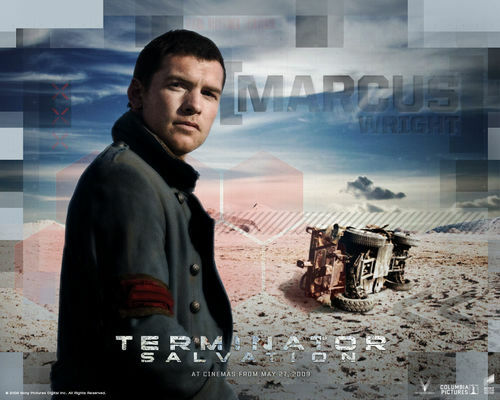 Terminator: Salvation. . HD Wallpaper and background images in the Sam Worthington club tagged: sam worthington movie christian bale terminator salvation. This Sam Worthington wallpaper might contain street, city scene, urban setting, sign, poster, text, chalkboard, outerwear, and overclothes.